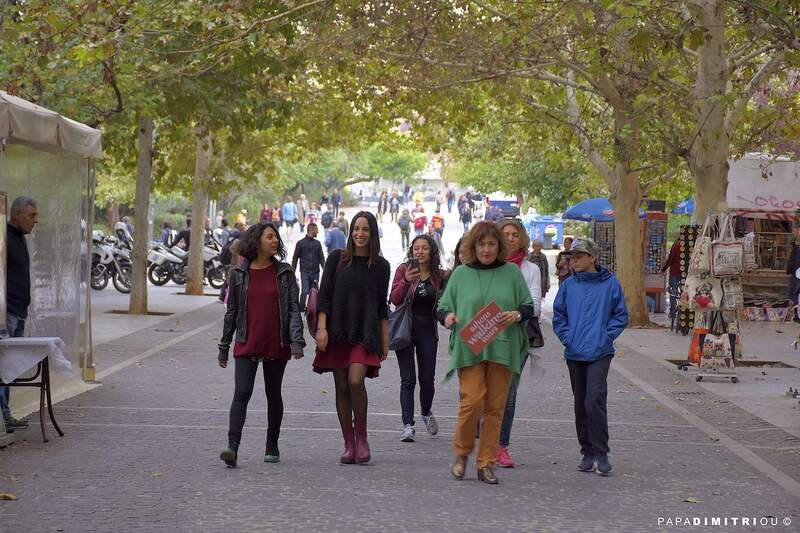 The tour starts at the lively area of Monastiraki square, in the heart of Athens where you will discover iconic landmarks, the Flea Market, lots of souvenir shops, and traditional tavernas all under the majestic eye of the Acropolis. Enter the most unique part of the city and discover with your knowledgeable local tour leader, its tranquil, picturesque and mystic hidden corners. Anafiotika is located on a hill above Plaka district; for a while, forget the city sounds and get the feeling that you are walking through the alleys of a Cycladic island however, with a history of over 3.000 years! Stroll around the little alleys and admire the white washed cubic houses with bright painted shutters and beautifully carved wooden doors, a typical Cycladic architecture! Connect the dots between “yesterday” and “today” by letting your tour leader unveil unknown parts of history and significant details on historical buildings, beautiful old chapels and numerous monuments. Create memories that will stay with you forever and... always have your camera ready, as you're in the most picturesque area of Athens! Find hidden gems of unspoiled beauty and magnificent views and learn secrets unknown even to many Athenians. The tour ends at the neighborhood of Plaka where you can continue strolling and enjoy a delicious meal, coffee or even a freshly squeezed orange juice at one of the little, picturesque shops. 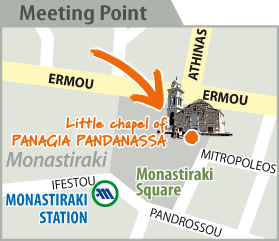 Your guide, holding an orange Athens Walking Tours sign, will be waiting for you in front of the little chapel located in the center of Monastiraki Square right across the exit of Monastiraki Metro Station. Please be at the meeting point at 09:45 am.